The Citizens pursued the signature of Riyad Mahrez from the Foxes last summer after a lengthy pursuit and the Algerian has since been a success on the right side of their attack. According to The Mirror, the Mancunian giants are now planning an attempt to lure another Foxes player in Chilwell with Pep Guardiola concerned by the fitness record of Benjamin Mendy. The Frenchman has largely been injury-plagued since making the switch from Monaco last year and he has managed just 16 matches in the top-flight over the course of 18 months. As such, Chilwell has been earmarked as a £50m target for the Citizens in January, although the Foxes are likely to demand more to entertain the prospect of a mid-season sale. 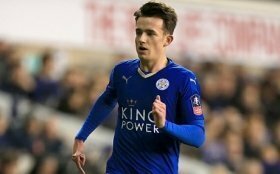 Chilwell, who came through the Foxes' youth system, has managed 70 appearances for the club to date. He has also earned five caps with the England national side.